Melktert is a classic South African dessert, loved by all South Africans, and every other person I have ever served it to! 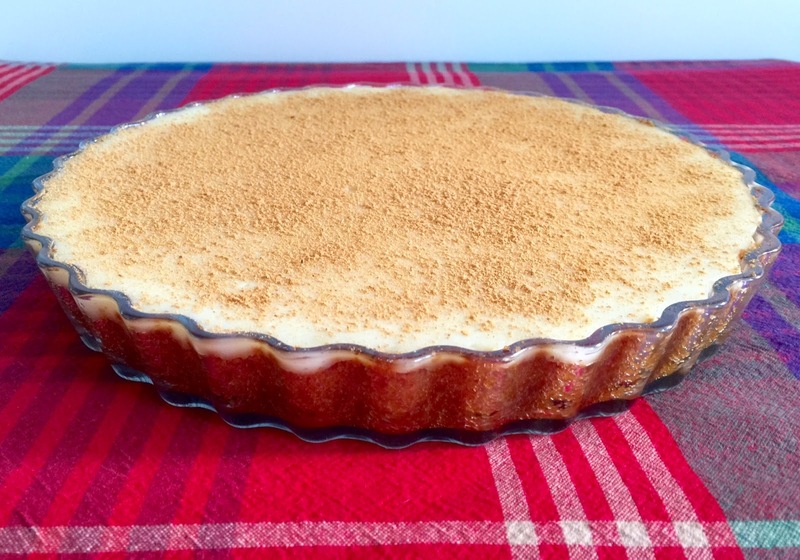 The pie's filling is a smooth, silky and almost white set custard topped with ground cinnamon. It is much lighter and less eggy than a traditional custard tart. The crust can be made in a variety of ways. Back in SA we would usually make a cookie crumb crust with either Tennis or Marie biscuits, but I also like it with a shortcrust pastry. Make and bake a pie crust using your favourite method - cookie crumb or sweet shortcrust are the two I use the most for this pie. 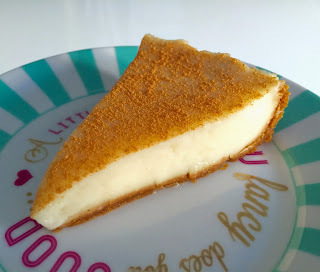 The pie pictured above was made with a Ginger Nut cookie crust - any crisp/crunchy cookie can be used and can add variety and interest to the pie. My Sweet Shortcrust Recipe can be found here. Crumb a packet of cookies/biscuits - you should end up with about 2 cups of cookie crumbs. Combine well with 1/4 cup melted butter. Press this mixture into your greased pie dish and bake at 180ºC for 10 minutes. Bring milk to the boil on medium heat. Beat eggs, then add sugar, cornflour, flour and salt and beat again to well combined. Pour boiling milk into the egg mixture while stirring, combine well, then return to pot. Put on medium heat, stirring constantly until mixture thickens and just starts to boil. Add butter and vanilla and stir in well. Allow to cool to room temperature, then chill in the fridge. Best served chilled.